Part of Route 18 through Tinton Falls, New Jersey was underlain by a sanitary landfill with thicknesses in excess of 25 feet. The New Jersey Department of Transportation considered various alternatives to provide a stable roadway subgrade. The first alternative considered was to completely excavate and replace the fill material. However, severe environmental problems arise with the handling and disposal of sanitary waste. In addition, the costs associated with that option were prohibitive. The second alternative considered was the use of dynamic compaction. This alternative was determined to be the most cost-effective approach, as well as providing a fairly high level of certainty that excessive settlement would be eliminated. Therefore, dynamic compaction was selected as the technique to densify the landfill materials. Dynamic compaction was performed with 20 ton weights dropped from heights of approximately 50 feet. Very deep craters were the norm for the project. 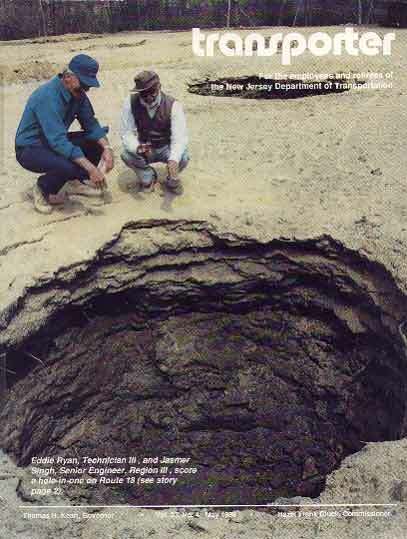 In many instances crater depths reached eight feet or more. The craters were backfilled with sand prior to performing a low-energy or ironing pass. The roadway has been operational since 1990 with no indications of settlement problems.